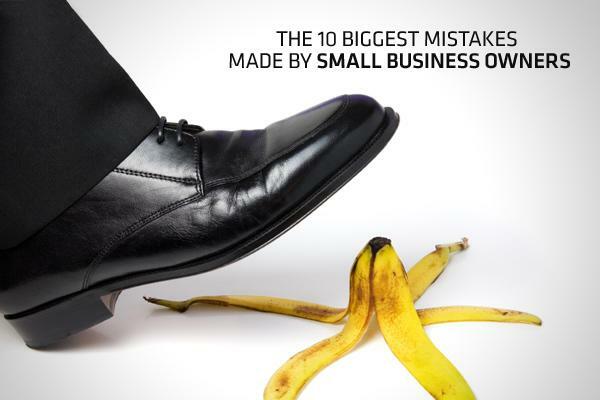 Top 10 Biggest mistakes made by Business Owners. Start-ups or existing businesses have lots of places to make mistakes. Here are shortcuts to keep you out of hot water as you dive in. 1. Not thoroughly testing your concept or new product or only testing on family and friends before starting up. 2. Overestimating sales, underestimating cost, insufficient start up capital. 3. Hockey Stick projections, failing to plan with KPI’s and accounting for seasonality in their projections. 5. Taking a “shot-gun” approach, not determining who the core customer is before getting started. Who will pay the most for your product or service, pay you on time and refer business to you. Bob Bloom wrote a great book on this topic “The Inside Advantage”. 5. Issuing founder shares without vesting: Issuing shares without vesting allows a shareholder to walk away from the business at any time and keep all of their shares. Vesting protects the members of the founding team who move the venture forward; if people remain on the team and are productive, their shares will vest. 7. Failing to make a timely Section 83 (b) election: If stock is subject to vesting, it’s subject to what the IRS calls a substantial risk of forfeiture. In such cases, the IRS doesn’t view the purchase as being closed until that risk goes away, i.e., when the stock vests. 8. Violating securities laws: Any company selling stock or other securities must comply with both the federal and state securities laws by either registering the securities (rare for a start-up) or meeting all the requirements for an applicable exemption. In general, unless you are selling securities under one of the crowdfunding exemptions, only sell securities to accredited investors. 9. Poor or non-existent Operating Agreement with buy-sell: Buy-sell agreements and operating agreements govern the relationship among a company’s owners, defining their mutual obligations, privileges, protections and rights. These agreements create a mechanism for dealing with exits, control and future disagreements, and can protect against countless problems in the future. 10. Intellectual Property: Many start-up companies engage software or other technology consultants to create technology or source code, without proper agreements. In certain states, without a specific provision assigning ownership of “works” to the company, the third-party developer may have an equal right and claim of ownership to their intellectual property, even if they are paid to create it. jiNan Glasgow George of Neo Patents is a respected Patent and Trademark attorney I have know for many years. Thanks to fellow YPO Member Jeff Marks of Allegiance Legal Partners for contributing to this article. Peer Group/Forum or Executive Round Table! Hire a great Business Coach! Everyone that I know who has joined a Peer Group/Forum or Executive Round Table and or hired a Business Coach says it was the best decision(s) they ever made.